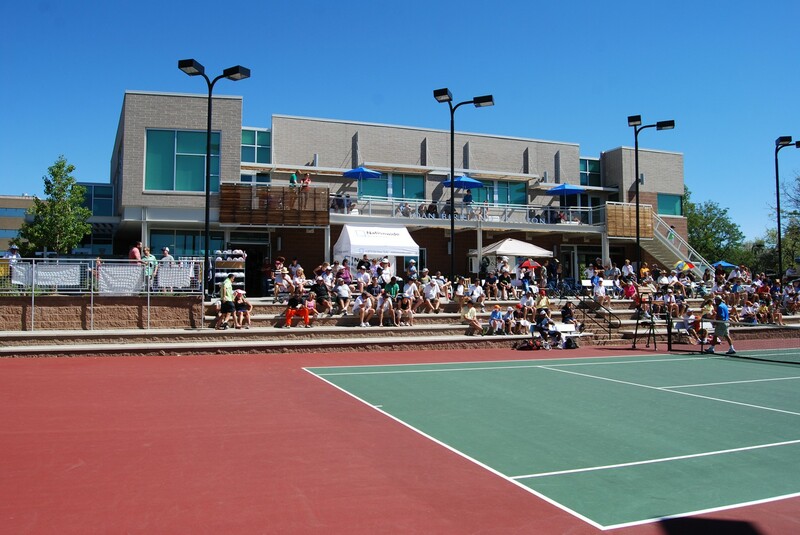 Studiotrope, along with Centerre Construction, was chosen by the City and County of Denver to design a new clubhouse better suited for the current and future trends associated with a high profile tennis facility such as Gates. This clubhouse offers an oasis from urbanity without divorcing itself from the urban qualities that make Denver an attractive place to live. Nature, open space, views of the mountains, sunlight, seasonal and daily climate change, views of tennis matches, and communal gathering opportunities are all heightened by the architectural configuration of the clubhouse. The second story offers fantastic views of two championship courts flanking either side of the building. The western balcony draws spectators upstairs and offers them a perspective on the game of tennis they would not otherwise experience.